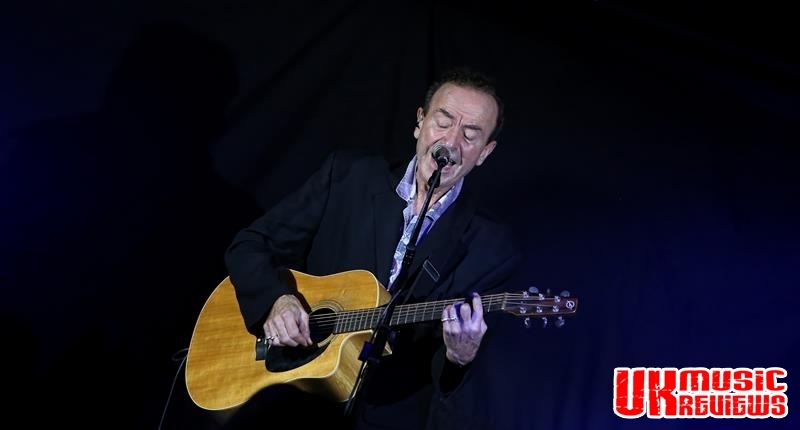 Hugh Cornwell performing his Acoustic Tour at The Glee Club Nottingham on Tuesday 24th October 2017. 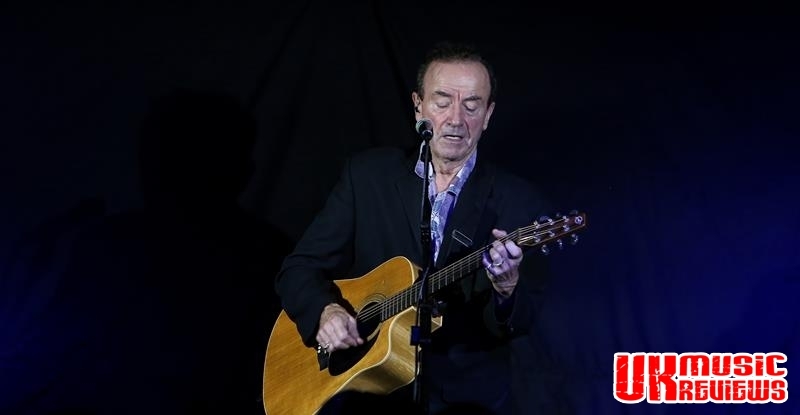 Performing his latest acoustic solo tour, Hugh Cornwell last night took the crowd at the Glee Club on a fascinating walk through his musical life both with The Stranglers and as a solo artist, and with a journey that was in two halves, it was his solo material that got the night started. 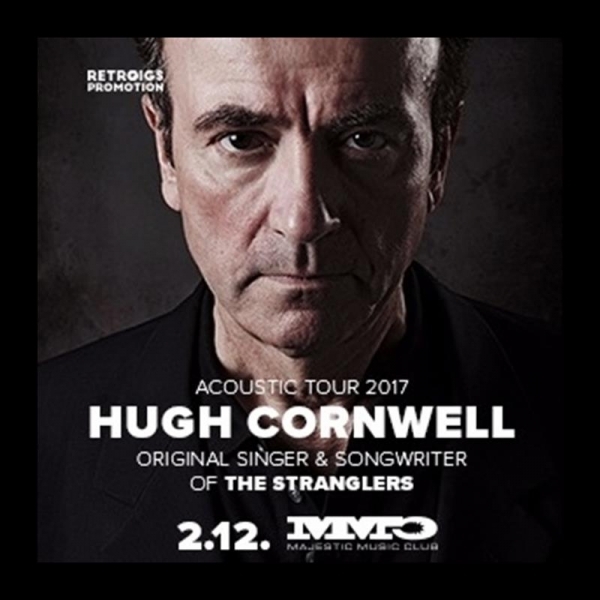 With over ten solo albums to choose his material from he opened with Mozen, quickly followed by Leave Me Alone from his 2000 album, Hi Fi. There was a delightful Nerves Of Steel from Guilty and Break Of Dawn from Wolf, but the highlights of this set were from Beyond Elysian Fields as the crowd appreciated the likes of Cadiz, Henry Moore and first half finisher, Under Her Spell; all which served to show off Cornwell’s song writing prowess, depth and passion. 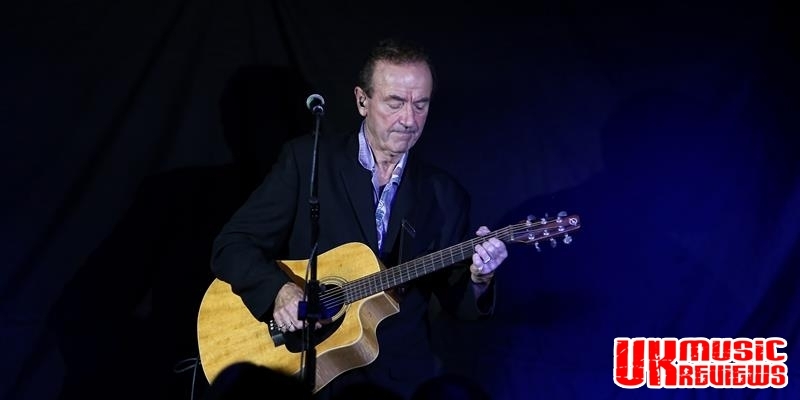 Whilst his voice and guitar skills were instantly familiar, the first half had been received with the sort of polite indulgence reserved for artists who are yet to perform what the audience wants. 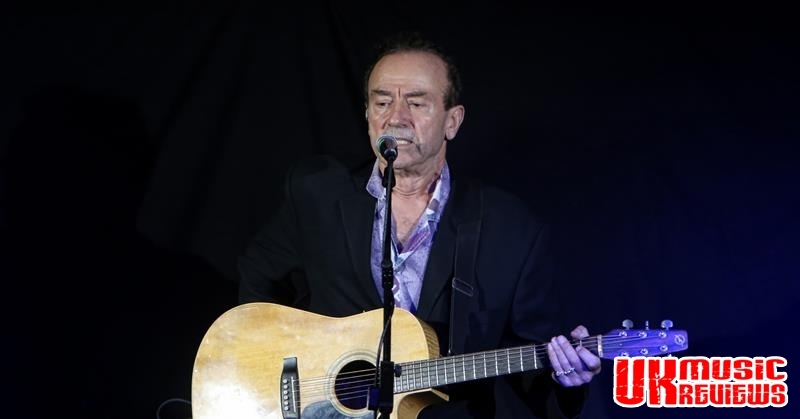 But that all changed in the second half when they were given what they had been waiting for as they came alive and Cornwell acquired a spontaneous chorus of backing singers with the all too familiar Stranglers songs. Starting with Outside Tokyo and Duchess, Cornwell gently led the crowd to a big finish with the likes of Always The Sun, Strange Little Girl and Golden Brown. Mesmerizing the crowd with his brilliant guitar playing, the evening was brought to a close with Tramp, and I Want One Of Those from his Totem & Taboo album. 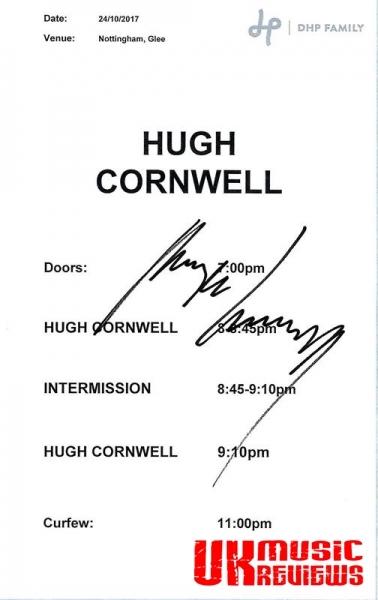 With this intimate setting displaying Cornwell’s music, it was his anecdotes and revealing insights into living with The Stranglers and being out on his own that had captivated this audience, as he provided an evening of genuine understated entertainment.